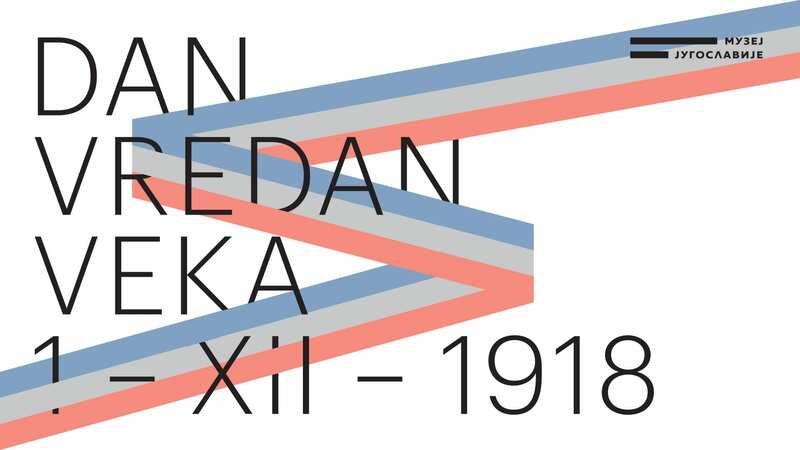 From December 1, 2018, on the day of the 100th anniversary of the unification of Serbs, Croats and Slovenians into one state, the Museum of Yugoslavia opened the exhibition “The Day Worthy of a Century – December 1, 1918”, which will run until 28th April 2019. Due to works in the Museum May 25th, the exhibition will be held at the Palace of Serbia in New Belgrade. The exhibition explains the founding of Yugoslavia which was preceded by the long-standing commitment of the cultural and intellectual elite to the unification of southern Slavs but also emphasises how the vision of the creation of the Yugoslav state differed from one to another and through different periods. In addition to archival documents, posters and photographs from that period, art paintings, sculptures, personal items, decorations and weapons will be exhibited.